When Is Book Week 2013? In case you are wondering when Book Week takes place in Australia this year, the official start date is August 16th, running until August 25th. Many schools will celebrate before that date, and some even later! The theme for this year's Book Week is Read Across the Universe. If you are looking for costume ideas for Book Week, be sure to look at all the great boys costumes, girls costumes, and even fancy dress ideas for teachers available online at CostumeBox.com.au. Looking for great costume ideas? Need it fast? Book Week 2013 officially starts August 16th, but many Book Week Parades will take place in the coming weeks, so kids costume ideas are at the top of every Mum's to do list these days. If you're looking for a great classic costume for girls, Dorothy from The Wizard of Oz is a perennial favourite. It's an easy costume to put together: a gingham dress and hair bows, ruby red shoes, and of course a wicker basket complete with Toto the dog! 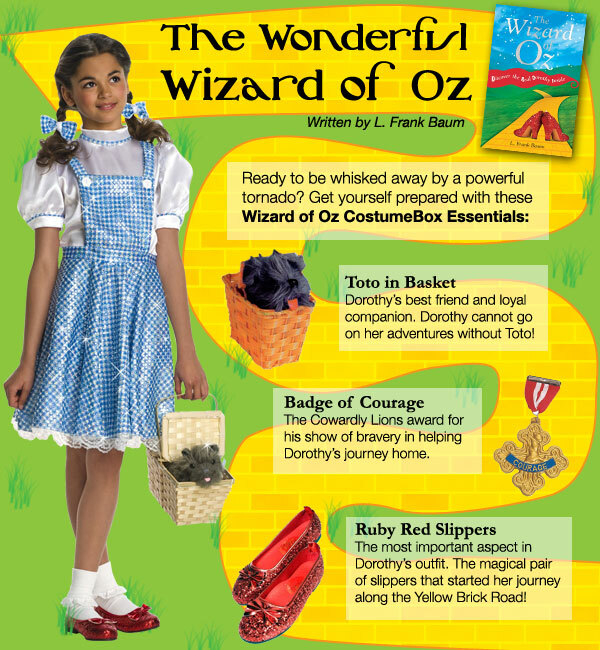 Click here to shop The Wizard of Oz costumes. If you are looking for more ideas for your child, check out the Book Week Costume Ideas page at CostumeBox.com.au. Loads of traditional and popular trending costumes for kids, as well as a list of costume ideas for this years Book Week theme: Read Across the Universe. If you're looking for a great fancy dress costume idea for your next party, Book Week or Halloween dress-up just look at what Johnny Depp is up to for inspiration. With Pirates of the Caribbean, The Mad Hatter, and Edward Scissorhands in his costume box, he's the leader of costume trends! His latest movie, a Disney remake of The Lone Ranger, is full of amazing costumes featuring American Indians and Wild West cowboys. 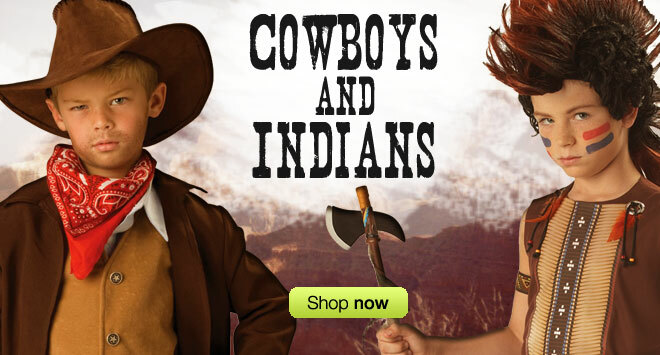 Click through to CostumeBox.com.au to see their full range of Cowboy and Indian costumes, for boys, girls, men and women. Plus, the biggest collection of costume accessories and free express shipping in Australia when you spend $10 or more. Looking for more fancy dress costume ideas?